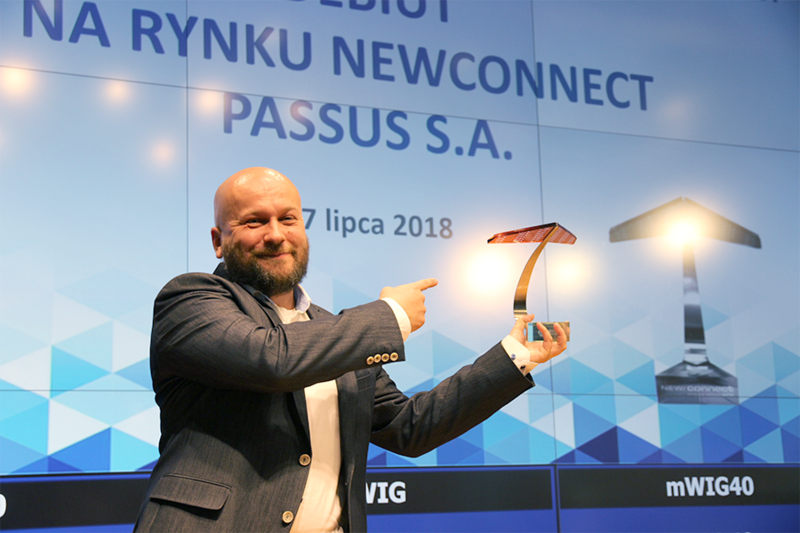 Passus S.A. made its debut on the 17th of July on the Newconnect market. The Company introduced to trading 71 400 series B bearer shares, 63 400 series D bearer shares and 248 300 series F bearer shares. Passus S.A. is a leader of polish APM/NPM (Application/Network Performance Management) market and has a strong position in IT security. In the last three years Passus S.A. has generated turnover at the level of PLN 4,7 million. From the very beginning company is allocating most of the profits to its products developing. Funds from series F shares emission will be devoted to extend company’s offer, including creating capital group. In recent years Passus S.A. has made a profit. Over the last three years company has generated a income of PLN 75 millions. Profit on operating activities amounted to PLN 2 millions. Passus S.A. – it is a reliability confirmed by certificates and wide customers’ portfolio. Experienced staff represents strong point of the company. They can predict most of the problems related to system and application efficiency and IT security. It is worth to mention, that Passus S.A. use both an own solutions and a niche products with unique opportunities produced by Gartner leaders and rapidly growing start-ups. Passus, as one of the few IT companies in Poland has industial certificate confirming ability to protection implict information about the „classified” clause, about „NATO secret” and „NATO confidential” clause as well as „EU secret” and „EU confidental” awarded by Internal Security Agency. Individual employees certificates and companies enable independent implementation of projects for uniform services and strategic industies. More than 300 largest Polish companies and institutions use Passus services. The company’s clients are 8 of the 10 largest banks in Poland, four of the top five telecommunications companies, most energy companies and uniform services. Tags: Debut, NewConnect, Passus S.A.